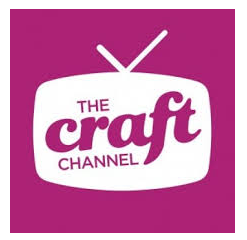 Viewers of The Craft Channel have been expressing their disappointment of the loss of the service on Freeview, as the channel changes its distribution on Sky and prepares to launch on Freesat. Last week, the channel, which launched in September 2015, got a new home on Sky channel 679, where it's available for up to 12 hours a day. The service will also be launching on Freesat channel 818 very shortly, according to the broadcaster. The new distribution arrangements on satellite follow the end of an agreement that saw The Craft Channel available at various times of the day on Showcase, which is also carried on connected Freeview channel 254. Showcase, which acts as an incubation area for new niche TV channels, is due to become the home of a new country channel later this month. The lack of availability on Freeview has become a common gripe on The Craft Channel's social media outlets, with viewers repeatedly calling for carriage on Freeview. The Craft Channel has now responded confirming that Freeview carriage is something they are "working on for the future". Another shopping channel = just something else to clutter up the EPG that needs deleting. Promoting this as if it was an actual TV channel instead of rolling advertising for overpriced tat is just dishonest! No more of this kind of rubbish PLEASE! Bad enough we have Create and Crap without anymore. Also think these channels highlight why the shopping channels need their own section of the EPG as they try and pass off selling as some kind of arts and craft show. A passing thought... There is such a thing as "The Consumer Protection From Unfair Trading Regulations 2008" - Should touting this rubbish as an actual 'Television Channel' not be considered a 'misleading practice'? ...Which in the real world still means it's not actually a television station, but just one big long continuous advertisement! The fact that its owners are, apparently, willing to exploit some loophole to promote it as something it's clearly not just makes them all the more dubious! It's not a loophole, it's a completely legitimate channel under UK broadcasting rules. ITV/JML piloted a format that fused chat shows with advertising for their brief joint venture on "The Store" a few years back, and that was acceptable. Doesn't matter how this is spun... These AREN'T 'programmes' and this isn't a channel in any meaningful sense of the word. in fact speaking as a broadcast professional of over 35 years standing, and a former lecturer in TV production, this sort of tripe is actually pretty insulting to the intelligence of both the viewers and those who have studied programme making seriously. One long advert, from grams up till it fades to black... No more no less. The fact that it fools some of the people for much of the time only adds to the 'Hokkani Borro' nature of it. And the fact there is some LOOPHOLE built into the rules that allows this to dress up as something it's not is shameful. Is anyone else having problems with BBC channels Pixilating late at night. All other channels unaffected. This is in Plymouth Devon.